The Library of Congress' photo collection includes this 1903 (1908?) 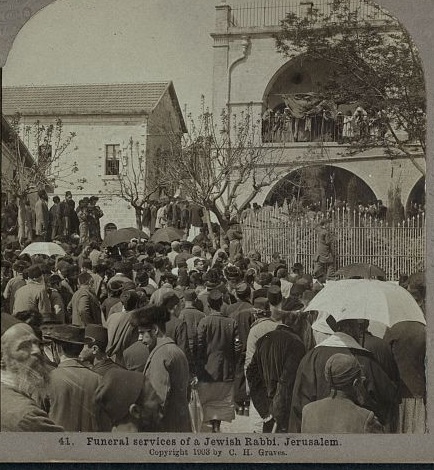 photo of the "Funeral services for a Jewish Rabbi, Jerusalem." Is it possible to determine where in Jerusalem the photograph was taken? Most definitely. The building is the Rothschild building in the Batei Machaseh compound in the Old City of Jerusalem, donated by Baron Wilhelm Karl de Rothschild of Frankfurt. The building still bears the Rothschild family's coat of arms. and 1890 to provide housing for Jerusalem's poor. 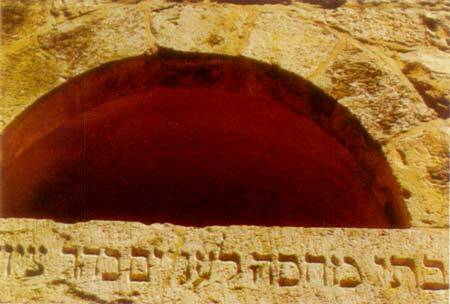 An old lintel stone nearby reads "Shelter home for the poor on Mt. Zion." During the 1948 war and seige of Jerusalem many of the Jewish Quarter's residents found shelter in the building which also served as the headquarters of the Quarter's defenders. 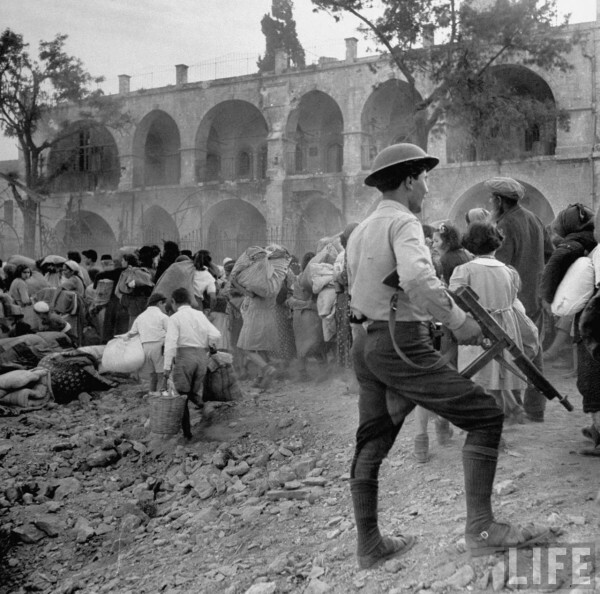 This famous Life Magazine picture (right), taken by John Phillips in 1948, shows the surrender of the Jews to the Jordanian army in the courtyard of the Rothschild building. The Batei Machaseh complex was looted and destroyed in 1948. After the 1967 war the Jewish Quarter and the Rothschild House were restored. 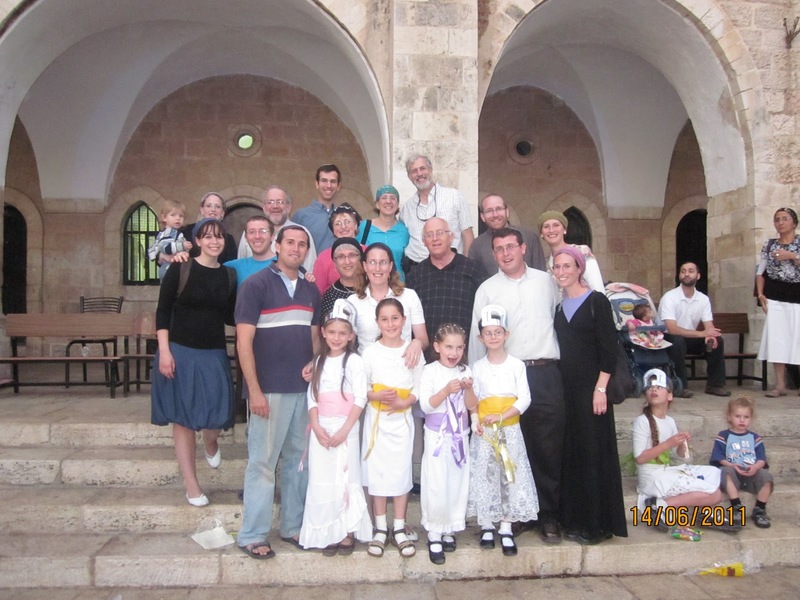 Today the courtyard of the complex is crowded with tourists and Jewish children from the surrounding apartments. "Old men and old women will again sit in the streets of Jerusalem... and the city streets will be filled with boys and girls playing."